The Rockies’ loss Sunday was, well, awkward. 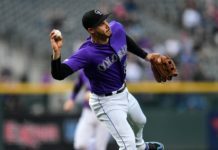 The game was filled with many peaks and valleys with the end result not favoring the Colorado Rockies. Colorado called upon closer Jake McGee to protect a three-run lead with only three outs remaining in the game. McGee, who had been perfect in save situations prior to Sunday, lost command of his pitches, which ultimately led to the Los Angeles Dodgers exploding, scoring five runs in the ninth. 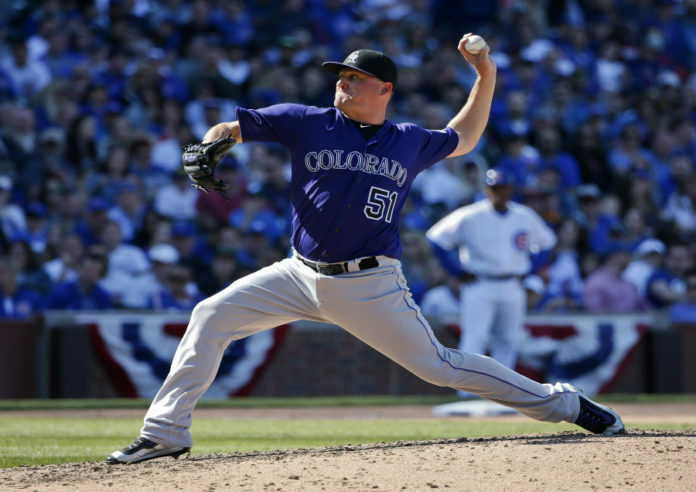 The Rockies had opportunities in the ninth to help McGee out, but failed to do so. Double plays were botched, balls were dropped, and wild pitches were thrown, which ultimately resulted in the loss. Despite the fact that McGee was struggling, Walt Weiss opted to stick with his closer, which ultimately resulted in a tough loss. McGee was somewhat erratic on the mound and threw a wild pitch which led to the tying run scoring from third. McGee is a seasoned pro that has been in the league since 2010. He has had some ups and downs in his career, but he says one bad outing won’t effect him moving forward. The Rockies had plenty of opportunities to put the game away. 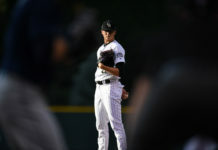 With the starting pitching already an issue, the last thing Rox fans want to have to worry about is closing out games when they do have a lead.